America’s Safe Schools week is October 19-23, 2015. On Monday, October 19, Gov. 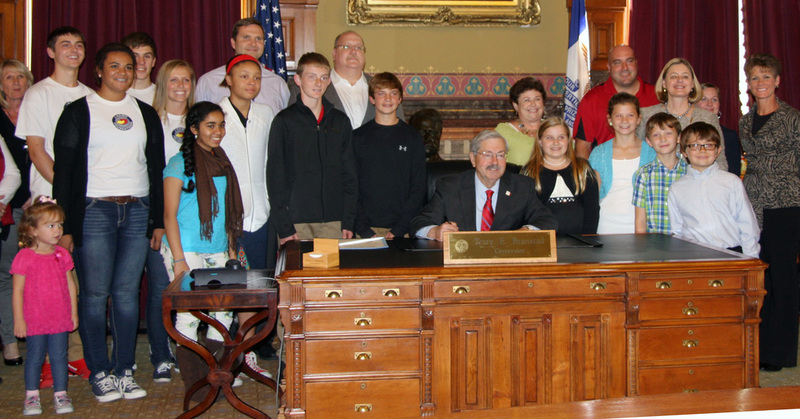 Terry E. Branstad signed a proclamation celebrating Iowa’s support of the national week of observance. 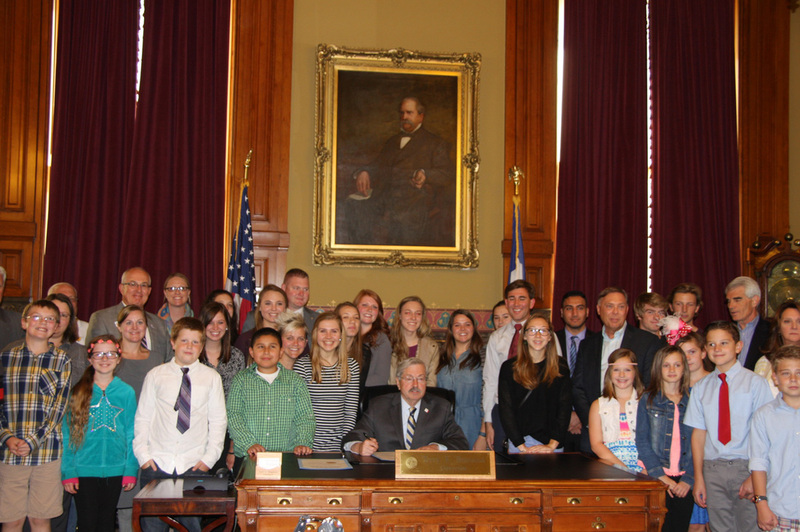 Members of the Iowa School Safety Alliance and students from several Iowa districts were also present for the event. “In Iowa, we’re committed to helping schools provide safe learning conditions for our children, and this is why several organizations statewide have banded together to provide expertise to schools so they can put in place effective safety plans,” Ryan Wise, director of the Iowa Department of Education, said. 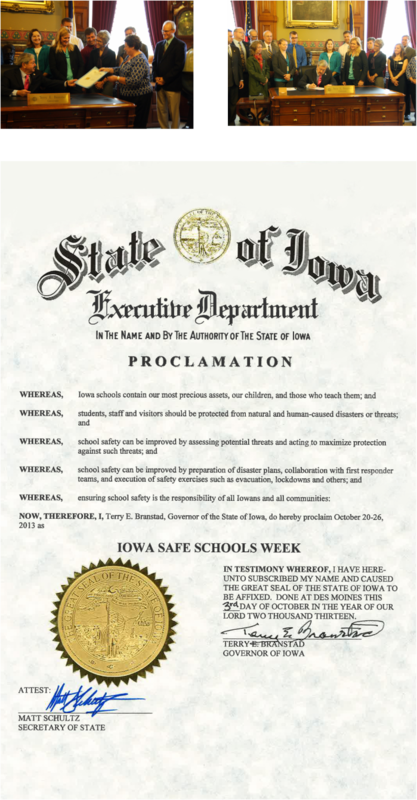 The Iowa School Safety Alliance was created to assist schools in preparing for, mitigating, responding to and recovering from natural and man-made threats and incidents. The group is made up of representatives from state agencies and education organizations, including Iowa Homeland Security and Emergency Management, Iowa State Fire Marshal, Iowa Department of Education, Iowa State Education Association, Iowa Association of School Boards, School Administrators of Iowa, Iowa Pupil Transportation Association and American Institute of Architects – Iowa Chapter. Significant progress is being made to ensure that all of our nation’s schools are safe, secure and productive. At the forefront of this movement are hundreds of exemplary school district, state and national programs. School safety includes keeping campuses free of crime and violence, improving discipline, and increasing student attendance. Schools that are safe and free of violence are necessary to ensure the well-being of all children and the quality of their education. “The National School Safety Center helped to organize Safe Schools Week with the intent to celebrate the efforts of safety programs and advocate for continued improvements. School board members can play an important role in helping to build awareness among students, parents and community residents,” Joan Corbin, member of the Iowa Association of School Boards board of directors and president of the Pella school board, said.